The past couple of months have been that of new beginnings as spring is in the air. I have continued writing and am 90% complete on our newest book Leadership by LIGHT, Principles that Empower. This work has been a great challenge and I believe will emerge as a game changer for anyone interested in becoming more than they are and more than they hoped they could be. It should be available for purchase in late May of this year. I promised to share a video about our Launching Leaders Worldwide project in this blog. This video is an introduction to our course, which is a 12 week on-line experience complete with facilitation and world class mentors. The complete series of offerings should be available in mid-summer. Stay tuned. This is a great time of the year to ponder our path. Are we just putting in time or are we making a difference? I recently watched a movie with Robert De Niro and Anne Hathaway called The Intern. 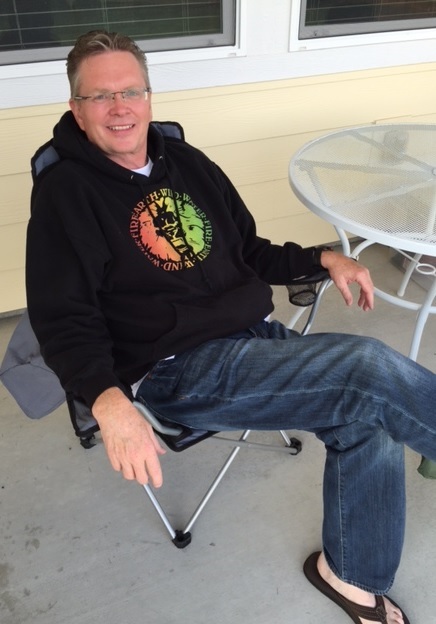 He is a 70 year-old widower, retired, and searching for meaningful ways to spend his time. Without giving away the plot, Ben Whitaker (Robert De Niro) decides to shake up his life when he becomes an intern for a startup web company (on-line clothing). He is assigned to be the owner’s (Anne Hathaway) personal intern. What struck me was that it is NEVER too late to make a difference. What this requires however is that we leave our zones of comfort and DECIDE to make a difference. It’s a part of recognizing our true identity. You will note from past entries, that I love cows and I love the lessons learned from our experience with cows. This time of year it’s time to move the cows from their summer range of grass which is now covered in snow, to a winter range of hay and corn stalks. We moved them from Wyoming into Colorado for their check-ups and then onto their winter home. Cows last day at their “summer” home. Our friend and veterinarian organized our efforts as we prepared the cows and calves for the cold winter. Shots were given; each cow was run through the chute for their checkup. The cows are escorted one by one for their one on one with the vet; where they also receive a “Preg Check”. This is a process that involves a rubber glove that goes up to the armpit. In this photo, I really wanted to preserve the dignity of the cow, so the left arm which you don’t see, is three feet inside of the cow, checking on the fetus. I also didn’t want the cow to be identified, so I purposely didn’t show its face. It’s up to your imagination as to the expression it holds. It only takes the vet about 5 seconds from beginning to end; he then pulls his arm out and announces how many days pregnant the cow is. “120 days” he blurts out, or whatever the number is. I asked him how he knows. Our particular vet is world renowned for his work in cow reproduction, and his expertise and experience over forty years makes him accurate within a week of when the cow delivers. He figures it out by gently grabbing the fetus leg, which is about the size of a thumb at this point, and based upon the size of the leg he can accurately determine how many days pregnant the cow is so we can determine the anticipated date of birth. The cows were really very gentle during the procedure; mind you their head is locked in a steel chute, but still, I was surprised at how well they handled the whole thing. The life lessons from this experience are two-fold. 1) Be glad you’re not a heifer. 2) Experience matters when you’re trying to be best in class; you can’t gain that experience from watching from the sidelines, you have to roll up your sleeves and dive in. I’m sure I’ll have an opportunity to write about the new born calves when they arrive in the spring as our small herd of heifers are all pregnant. Stay tuned for more life lessons from cow adventures. In Launching Leaders Worldwide, we teach a class called Financial Fitness. This is not rocket science, but is based upon having the discipline to control expenses and save money. I will reserve the details for when you take the class someday, but aside from the picture of the graph I will share, there is a principle or two that could use repeating. Let me tell a personal story. Years ago my wife and I had a dream to start a business. We didn’t know exactly what that business would be, but we knew it was the path we should follow. 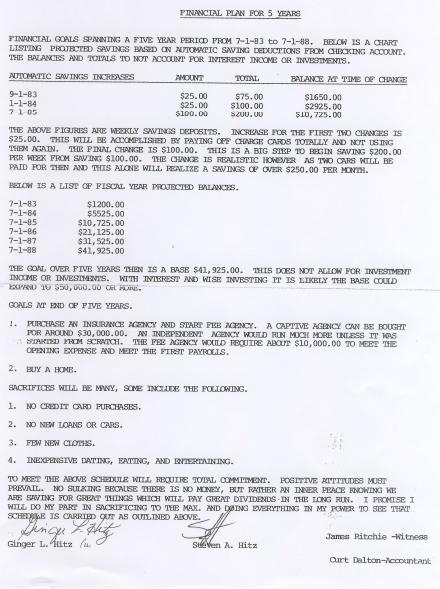 We counseled with our mentor, and we developed a five year plan; this was circa 1983. This would be the THINK part of our THINK PLAN DO class. We started with saving $25.00 per week, and over the course of five years, would increase this amount to have saved a whopping $50,000.00. The amounts are not important in this life lesson; but the idea is we started where we stood, and planned for a better future. This is the PLAN part of the equation. Our sacrifices included no credit card use, cheap dates, no new loans (except to purchase a home), and to do this with an attitude of gratitude. We agreed that we would remain positive and not complain about having no extra money to spend. In the financial fitness course, one learns about the “Gold” account, which is the savings that can never be touched except to re-invest. The money we would save to start a business was in the gold account. We enjoyed cheap dates such as getting a big gulp from 7-Eleven and two straws and go for a walk in the park. These were great times and we remember them fondly. Because we had a PLAN and were following the principles of financial fitness, we were able to ACT on the final step which is the DO part. Almost exactly five years after the start of the plan, we did have exactly what we had hoped to save, and started a business. We built that business over 27 years, and sold it. The blessings from that newly-wed commitment have blessed our family in untold ways. I believe the millennial generation today would do well to understand that the best investment you can make in yourself is discipline and patience. In my example, understand the value of time and the patience to stick with a plan. It was very hard to sacrifice during the five years, we sometimes did not have enough; but we didn’t stop believing and we stuck with the plan. Another lesson is that your investment in yourself is the best investment you will make. I have lots of young entrepreneurs come to me with their start-up ideas. They always need money, and they are usually bold enough to ask me for a loan. I don’t give personal loans anymore. My wife and I didn’t borrow any money when we started the business. Our investment fund was our corpus. You never work harder to succeed in business when your own money is on the line. Instead of taking your idea to an investor, why don’t you save your money for a few years and be your own biggest investor in yourself? You will learn the valuable lessons of thrift, patience, endurance, and discipline along the way, and there will be a greater sense of accomplishment when you do arrive at the various points along your journey in life. 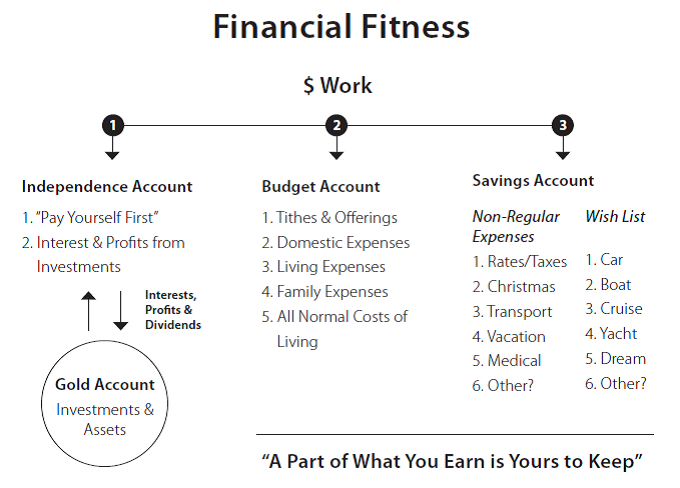 I’ve included below both the original five year plan I mentioned (nothing like raw authenticity—please forgive its blur) and the Financial Fitness diagram from the LL course.